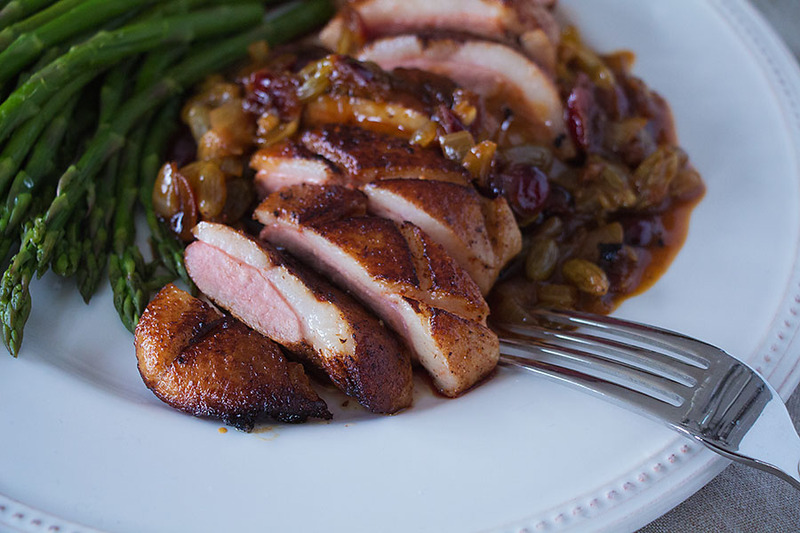 In yesterday’s post on fruited duck breasts, I mentioned that I served them with a “fruited” sauce. After completing the duck breasts and the sauce, there was just too much information and too many photos for a single post. So here is the sauce I made for the duck breasts, using dried fruit. 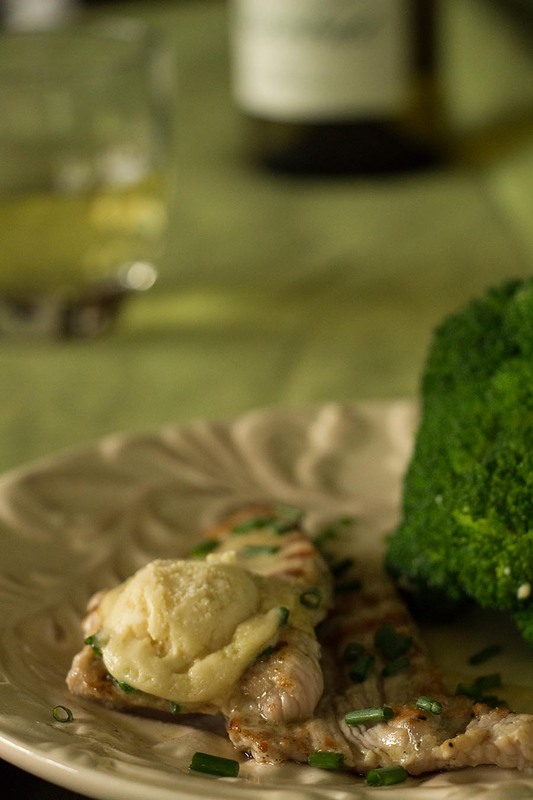 This sauce would be just as good with poultry, pork, or lamb. 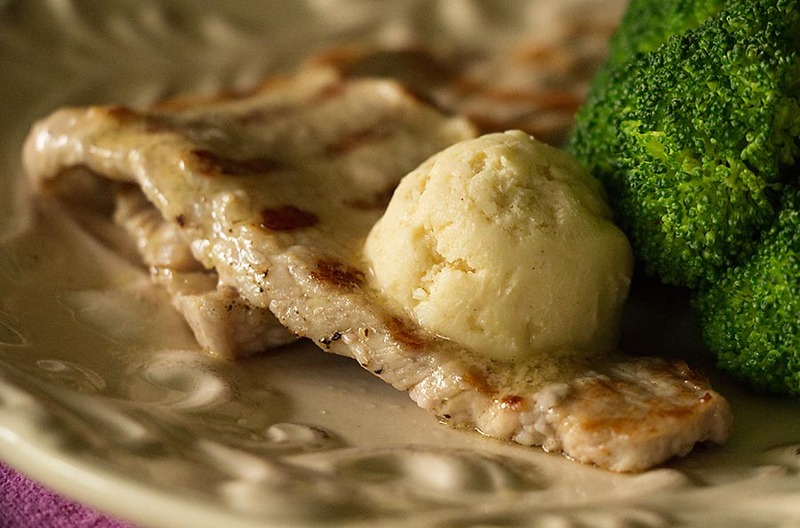 Plus, you can really mix and match the ingredients to suit your tastes. This is your sauce, make it yours! 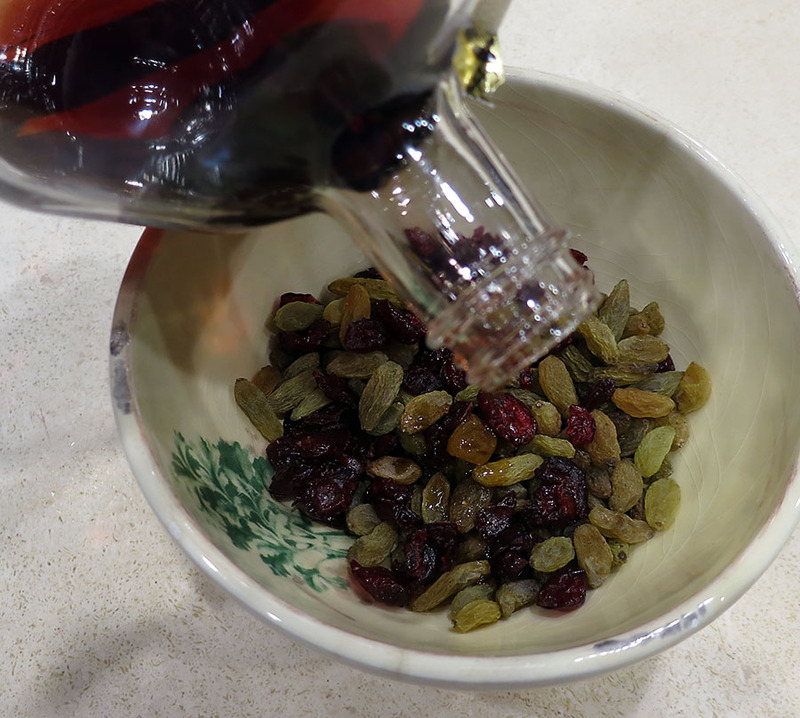 First, place the pomegranate and raisins in a small bowl. Cover them with the chambord and set aside. 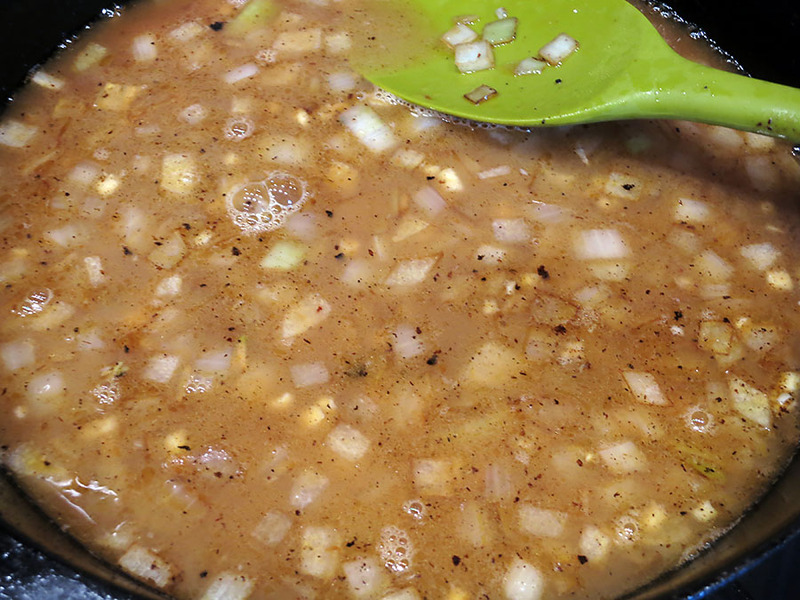 Pour the stock into a measuring cup and add the tablespoon of demi-glace. Heat the stock in the microwave until you can dissolve the demi-glace in it. If there’s a lot of oil in the skillet you’re going to use, pour some off. 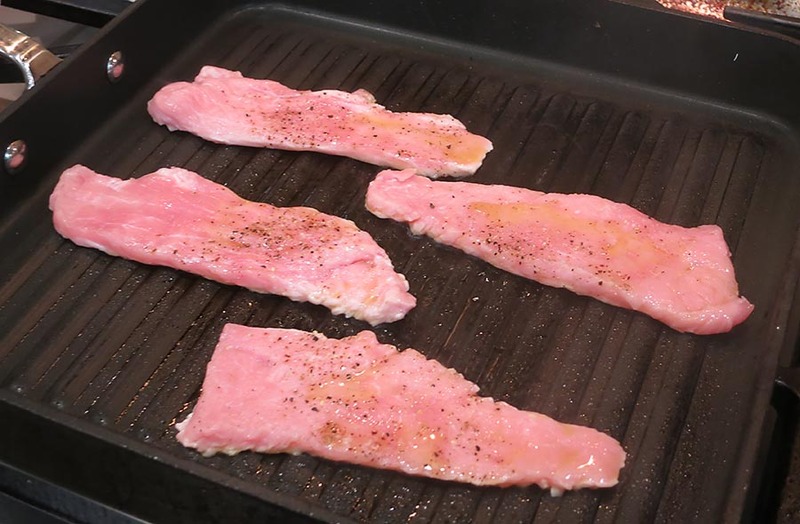 You will have quite a bit if you’ve just cooked duck breasts with the skin. Keep about one tablespoon in the skillet. Heat the fat over medium heat. 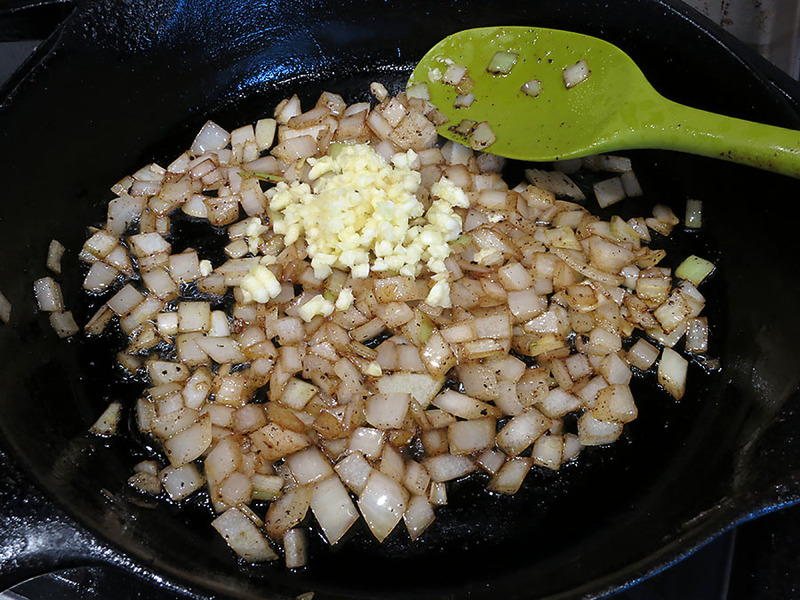 Add the onions and sauté them for about 4-5 minutes, then stir in the garlic. 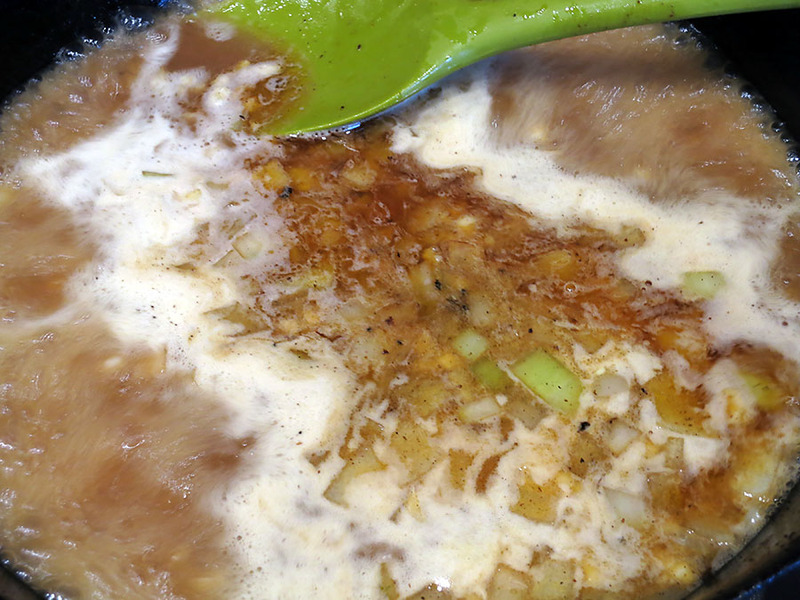 As soon as you can smell the garlic, add the stock with the demi-glace, plus the wine. Then add all of the juices that have run off from the duck or whatever meat you seared and cooked. Heat the liquid gently and let it reduce. 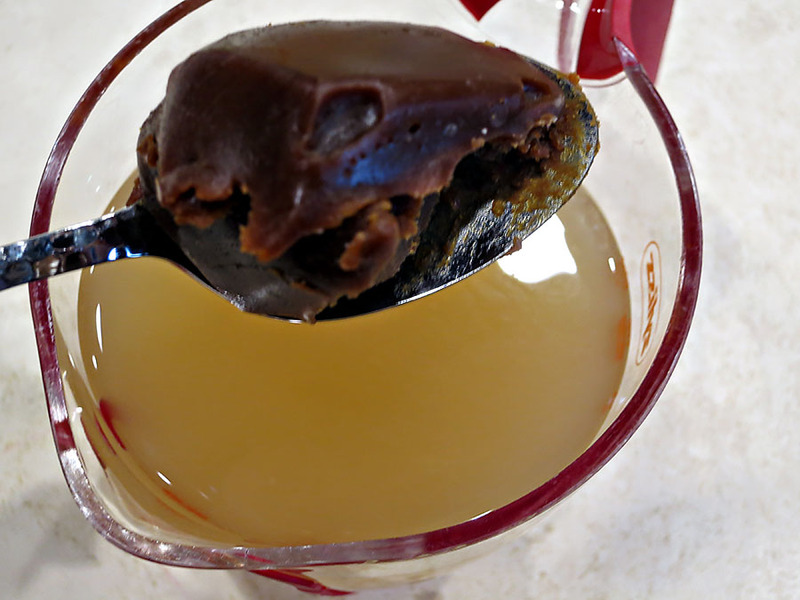 If you’re unsure about reducing liquid, read my post on it here. Meanwhile, strain the raisins and pomegranates over a bowl. 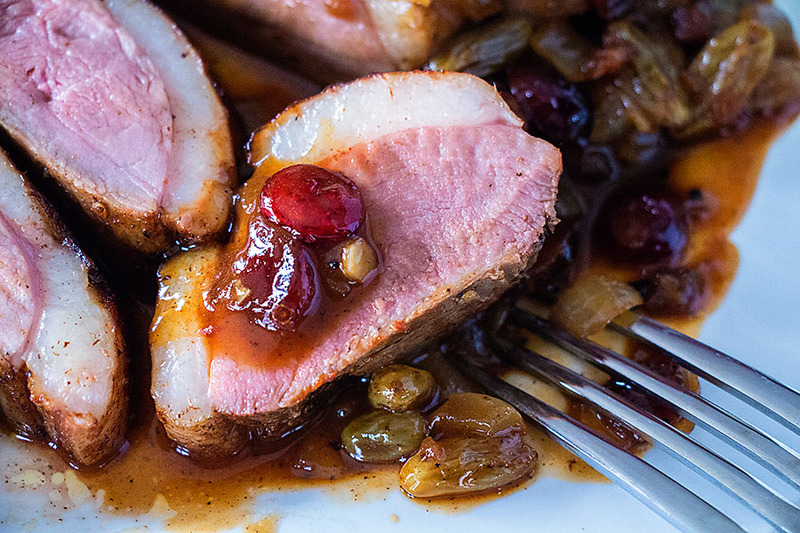 Keep the Chambord, but not for this recipe. I didn’t want the sauce too sweet. 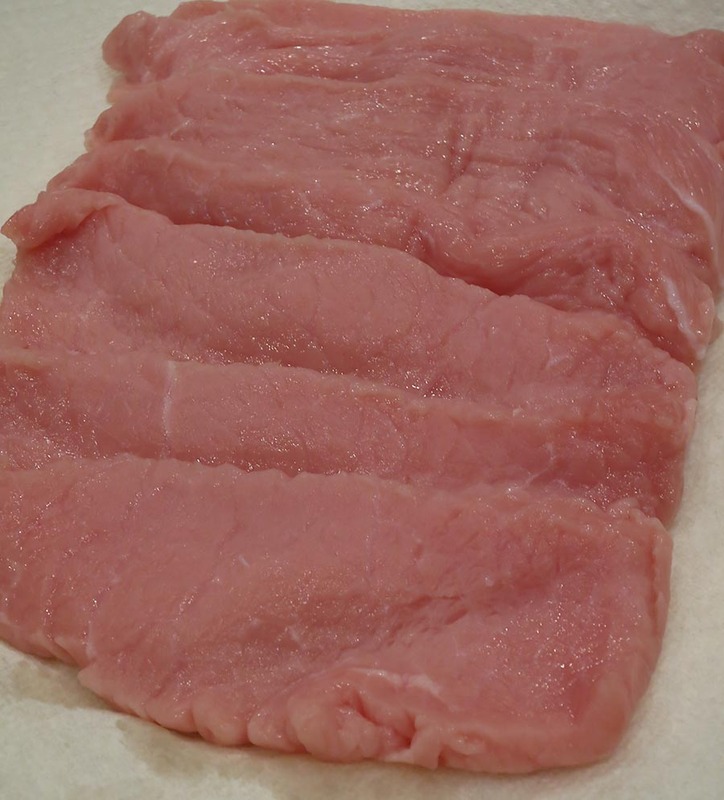 You can always use it in another reduction or marinade. 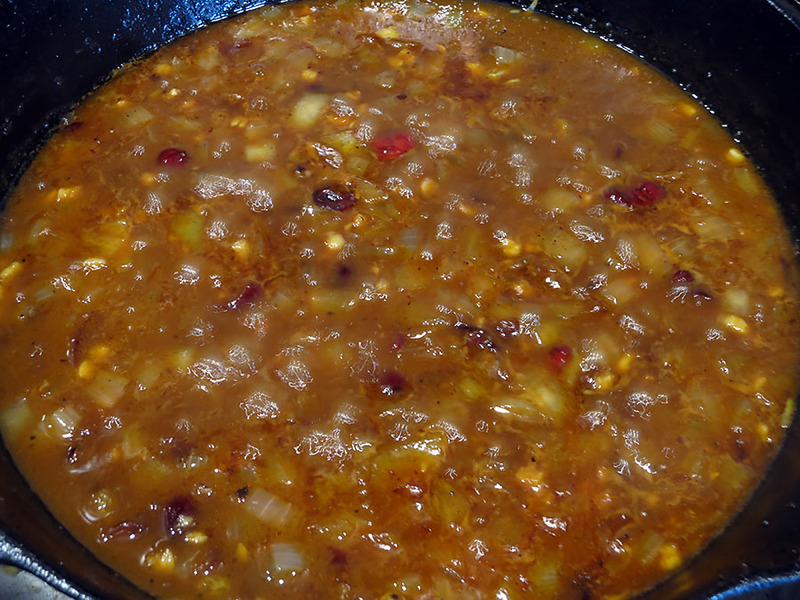 When the liquid has reduced by at least half, add the ancho chile paste and salt. Stir well. Then stir in the fruits and keep cooking over low heat. 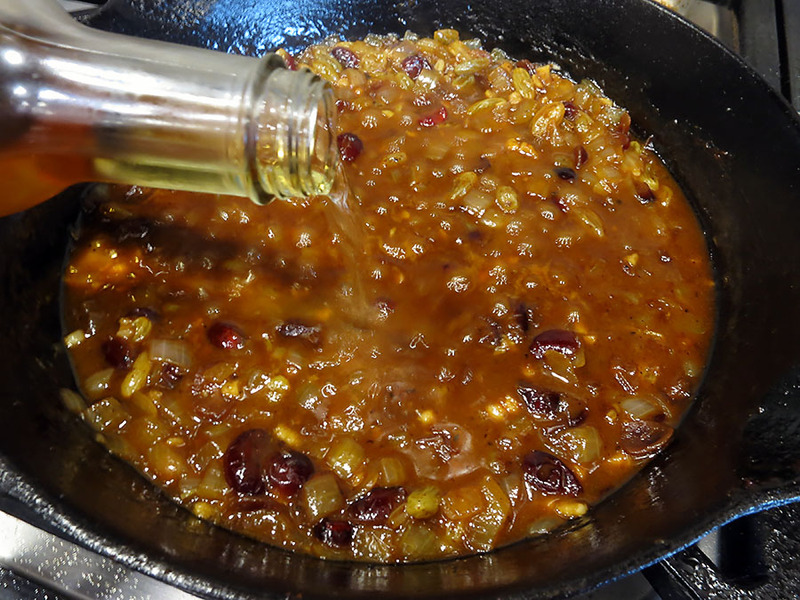 When there’s barely any liquid in the skillet, pour in the vinegar. This will brighten the sauce a bit, and offset the sweetness from the fruit. 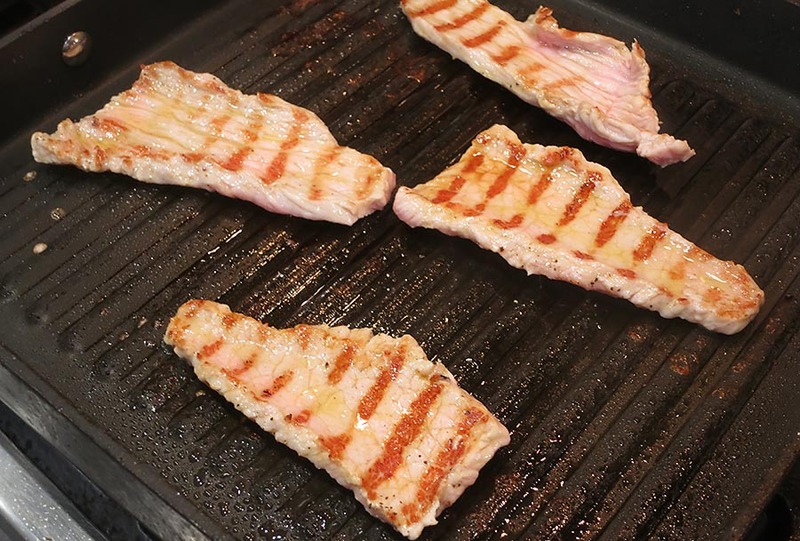 Continue to cook until there’s barely any liquid in the skillet again. Then it’s ready to serve. 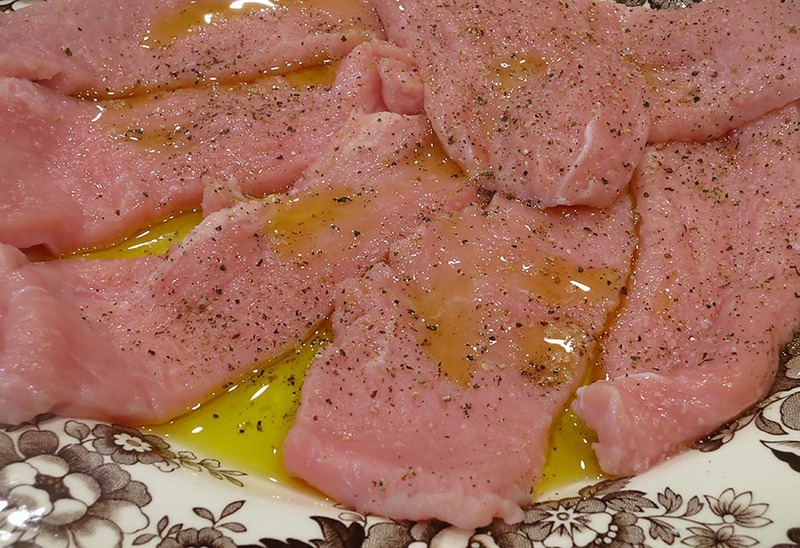 Pour the sauce into a serving bowl and pass around with the duck breasts or lamb chops. note: If you’re limited on time, reduce all of the liquids except the vinegar first, until just 1/4 or so remains in the saucepan. Then the sauce-making time will be cut back significantly.